Erica Bunker | DIY Style! 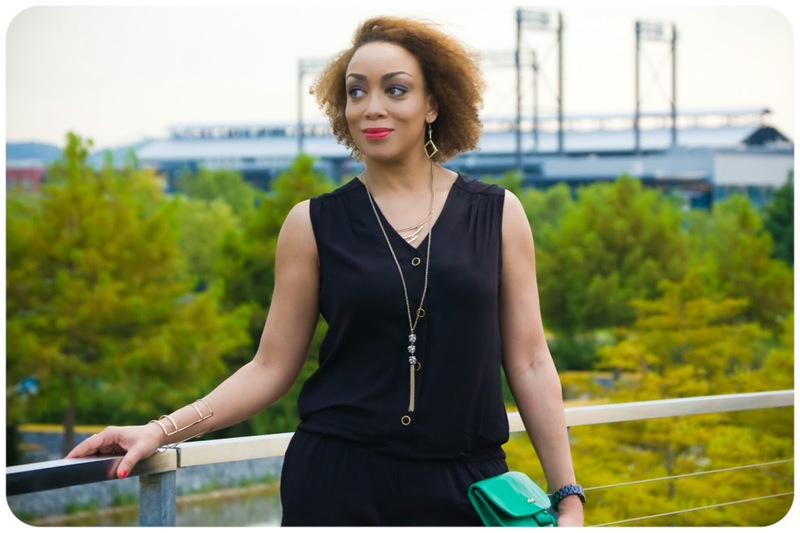 The Art of Cultivating a Stylish Wardrobe: Review: McCall's 7203 | Back-to-Black Jumpsuit! As much as I've been enjoying color, I couldn't stay away from black too long. 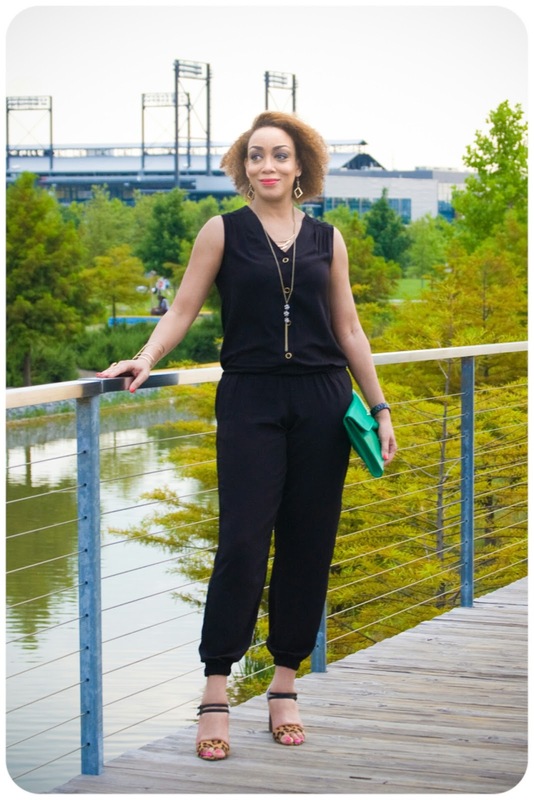 And as I start thinking about fall clothing, a black jumpsuit was needed. My previous black jumpsuit made in matte jersey is too big now. And since I hate alterations more than anything, it made sense to just create a new one for a new season. I picked McCall's 7203. My fabric is a black poly crepe that I found at Hancock. It was mixed in with suiting fabrics. It has the feel and drape of a 4 ply silk crepe de chine. It's slightly translucent, but not enough to require lining for this jumpsuit. For the jumpsuit, I cut the size 12. It's loose-fitting and has about 4" of ease. I lengthened the bodice by an inch. I wanted a little bit of blousing. And the pants by 3 inches. These pants are cut short... Keep that in mind if you're tall. If I make this again, I'll probably add an additional inch or so. When I bought this pattern, I was most fascinated by it being drafted for medium weight wovens and it has a button front. I didn't read the description nor did I notice it is dropped waist. That waist seam was a little lost to me in the print on the envelope cover. The rise of the pants looked short to me as I was sewing them. But it's a cute detail. I'm glad I inadvertently slipped this style in on myself. Because I probably would've never bought it. I'd never been a fan of dropped waist styles, but I really like this! One of the best things about custom sewing your own wardrobe is making every single selection. For something as simple as this little black jumpsuit, I still didn't want it to be plain. I used these beautiful black and gold glass buttons from Mood Fabrics that I've had for a while. They were the perfect way to add a small amount of embellishment and a touch of luxe. The armholes are finished with a bound facing. And the pants are tapered with elastic at the ankles. 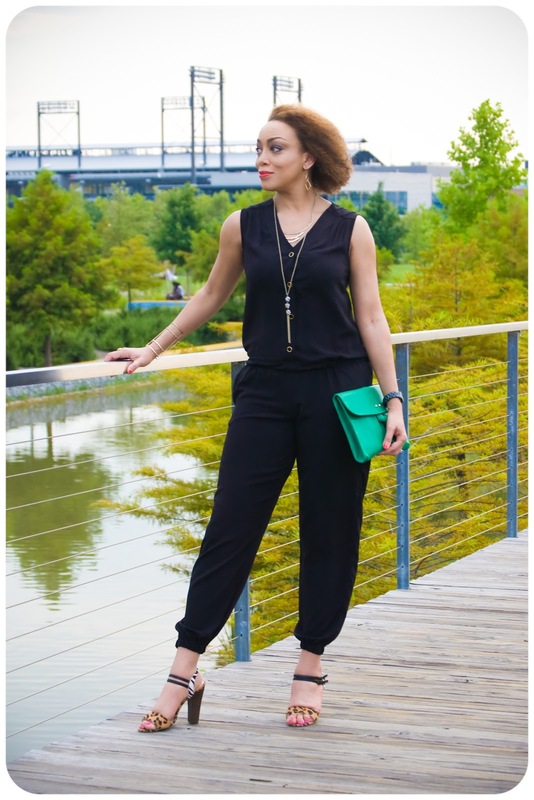 Style tip: If you want to add color to your monochromatic look, use accessories with print and color. This is great: so versatile. I'm wondering if I would need to add length in the middle if I'm long-waisted, but I don't want it to be too blousy. Thoughts, Erica? Probably so. Just carefully measure. Thanks Mary Beth! So pretty! I don't even remember that pattern but now I want it. I love the blouse-like details on the bodice. The shorts length would be cute! The romper would be really cute! Thanks Jenny! Gorgeous! The style looks great on you and thanks for the tips. This pattern looks like a winner, I must get it. It did turn out to be a really nice jumpsuit. Surprises come in many ways, even when you already are set on your own style, a little change is refreshing. In my case, I've been intentionally trying new silhouettes. I really like it and will probably do a version with sleeves. Thanks Andrea! I love this on you, it is stunning. I have always loved your style and how you wear your clothes. This is really cute! 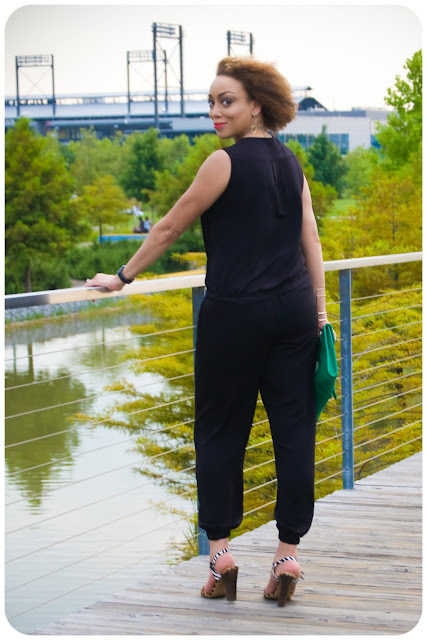 I passed this pattern up because of the drop waist and the short rise in the bottoms but it really works proportion-wise now that I see it in a solid color. Fabulous button choice too. It's sew cool and fun.. I see it in every color. You look great in it..
Its great! I really need to thank you, time and again you make me realize a pattern is really great. I had seen this pattern and the last one of those great fushia pants you just made but somehow the way they were made by the company just seemed unatractive to me everything was just wrong but your version is way cooler now i want them both. Thanks!